Why did you get this book? Out of curiosity. Did you enjoy the book? Yes, it was thought provoking. Was the author new to you? Yes. Would you read something by this author again? Yes. I liked his writing style. Are you keeping it or passing it on? I am keeping it. Silly question really. I have never thrown away a book in my life and have seldom given one away. Anything else? It took quite a while to digest this book. Many thought provoking ideas. 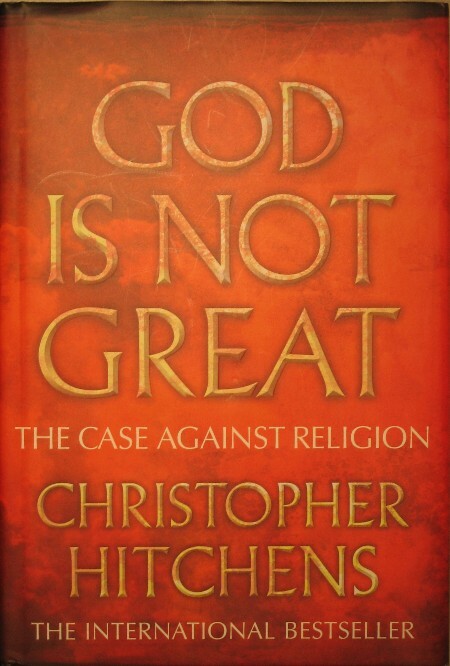 Hitchins is one of the fairly recent number of authors who are openly and vocally atheist. Opponents of these authors disparagingly call them new-atheist. Stupid name really. Much of what Hitchins (and the others) are writing about are ideas that have been voiced for decades if not centuries. Perhaps the thing that is new about these so called new-atheists is that they are uncompromising, unafraid (apparently) and unwilling to be silenced. I have seen quite a few video clips of Hitchins being interviewed. He seems polite and soft spoken to his opponents at least until they refuse to act likewise. He is on the other hand unwilling to be dominated by opponents and uses his knowledge and acerbic wit effectively. Number of pages: 286 plus references and index. This entry was posted on Monday, April 7th, 2008 at 23:13 and is filed under Read this year, Religion, Scepticism. You can follow any responses to this entry through the RSS 2.0 feed. You can leave a response, or trackback from your own site.